Although I am here to learn English in London with Twin English Centres, I have learnt as much from my travels around this amazing city. When I was asked to write about my favourite places it was really difficult. There are so many brilliant London attractions! But here are my top ten... I think! One of the world's most famous buildings. 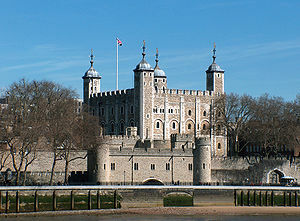 Discover its 900-year history as a royal palace, prison and place of execution, arsenal, jewel house and zoo! Gaze up at the White Tower, tiptoe through a medieval king's bedchamber and marvel at the Crown Jewels. Visit the world's largest maritime museum, the historic Queen's House, and the Royal Observatory Greenwich: all now part of the Royal Museums Greenwich. Stand astride the Prime Meridian, touch a meteorite, and see the stars in the planetarium. Sitting grandly on the banks of the Thames is the Tate Modern, Britain's national museum of modern and contemporary art. Its unique shape is due to it previously being a power station. Inside you'll find temporary exhibitions by top artists from Damien Hirst to Gauguin. The gallery's restaurants offer fabulous views across the city. Entry is free. The Changing of the Guard is the process involving a new guard exchanging duty with the old guard. The Guard which mounts at Buckingham Palace is called The Queen’s Guard and is divided into two detachments: the Buckingham Palace Detachment (which is responsible for guarding Buckingham Palace), and the St. James’s Palace Detachment (which guards St. James’s Palace). These guard duties are normally provided by a battalion of the Household Division and occasionally by other infantry battalions or other units. When Guardsmen are on duty, the soldiers are drawn from one of the five regiments of Foot Guards in the British Army: the Scots Guards, the Irish Guards, the Welsh Guards, the Grenadier Guards and the Coldstream Guards. The Palace of Westminster, home to Big Ben is a neo-Gothic wonder from the mid-19th century and it’s full of houses: namely the House of Commons and the House of Lords. Reserve ahead to watch the antics during Parliament sessions. Aside from the obvious historical importance of some of the documents (like Hitler's signed order authorising the march on Poland) the museum has a couple of interactive sections that bring the reality of war to life in a way that exhibits in glass cases cannot do. The WWI section wants the visitor to experience what trench warfare was actually like (and you do) and the WWII interactive exhibit attempts to replicate (with great success) what life was like during an air raid for Londoners during the Blitz. I hesitate to say more in case I spoil the experience. Take the Elephant & Castle Line on the Tube and you will be there in a short walk. Opened in 1972 by Her Majesty the Queen and situated on the historic site of Hendon's London Aerodrome in Colindale, this North London Museum is London’s only attraction to house over 100 aircraft from around the world including some very early aircraft designs through to the latest modern day jets and military aircraft. With free admission plus free interactive and fun activities, including our 3D Cinema (located in Milestones of Flight) and our emotive and uplifting sound and light show Our Finest Hour (located in our Battle of Britain Hall), our London museum offers an entertaining and educational day out for all the family - just 30 minutes from central London. The Royal Observatory, Greenwich, in London played a major role in the history of astronomy and navigation, and is best known as the location of the prime meridian. It is situated on a hill in Greenwich Park, overlooking the River Thames. The views are magnificent from up there. The prime meridian, zero degrees longitude, runs through the courtyard of the Royal Observatory in Greenwich, England, which was founded in 1675 by King Charles II. The Cutty Sark is the last surviving tea clipper and the fastest and greatest of her time. Venture aboard and beneath one of the world’s most famous ships; walk along the decks in the footsteps of the merchant seamen who sailed her over a century ago, then marvel as you balance a 963-tonne national treasure on just one hand.